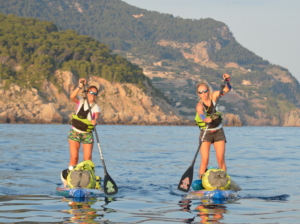 Home > Mallorca Lifestyle > Ondine – Who’s Excited About 2019?! Having left a successful year of 2018 behind, at Asociación Ondine we are setting new goals 2019 and working hard to to make the most for Balearic Island Marine Conservation this year. You’ll be able to read all about the year that has been, the goals that were achieved (and exceeded! ), the projects implements and the people involved in our 2018 Annual Report which will be published on our website very soon. We have some very exciting plans 2019 and can’t wait to share them all with you as they unfold! Marine conservation has become a hot topic lately as more and more people are made aware of what’s going on and are choosing to take action. This means that there is an increasing demand for our projects, and that we are working harder than ever to keep up! To keep delivering current and developing new projects, we are working hard to raise the funds required. We wish to thank everyone who helped fundraise for our projects in 2018, and we hope that many of you will join us in 2019 to help make loads of goodness happen around the islands! 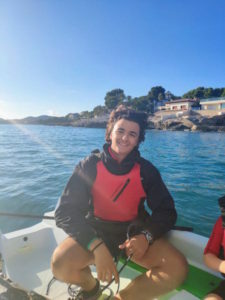 Over previous Christmas periods several of Asociación Ondine’s supporters have put on some amazing fundraising activities in the name of marine conservation. They included everything from Christmas carol singing by friends and family, to an Advent Calendar Raffle from the Wine Industry and a Christmas Fundraising lunch at Bunkers Restaurant. The initiatives weren’t just Christmas related. For their beautiful wedding, the wonderful Sandra and Adriaan from Captain Cook Sailing asked for a charitable donation instead of wedding gifts and raised an amazing 1,350€ for the protection of our seas. Several Ondine followers donated Ondine memberships to their ocean loving friends as birthday gifts. This year memberships were even given away as Christening presents! Meanwhile, the young students Robin Marti and Francesco Casa worked on the development of a website called www.bookforgreen.com, which is linked to booking.com and allows holiday makers to help fund Asociación Ondine’s projects by one simple click! No strings attached! “There are many things that need to change if we are to preserve the planet for us and for future generations. Usually everyone wants to help out but oftentimes excuses such as having no time or lack of money are preventing people from getting involved. We wanted to develop a quick, simple and cost-free way to support hands-on projects which allow supporters to see exactly how their money is being spent,” the boys explained. Several schools have embraced the fundraising challenge too. We have had summer shows, pyjama parties and Christmas Fairs all helping to raise money for the sake of a clean and healthy Balearic sea. Special thanks this year goes out to Queens College for their active involvement of all their students in local marine conservation! We are truly grateful for all your support and value each initiative tremendously. It is the actions and donations from local communities; individuals, families, schools and companies who live in and care for the Balearics, which make our work and the results thereof possible. That same community involvement is the key to achieving a lasting positive change together. So, again, thank you so much for becoming a part of it! Do you have ideas of your own for 2019? Would you also like to get involved and help us raise money in creative ways during 2019? We’d love to hear all about your ideas and help you along the way! Please contact holly@asociacionondine.org. Do you have ocean warriors among your family and friends? Check out our Family Pack! Whether you are considering joining with your own family, or a gifting family and friends an Ondine Membership for the year ahead, on our website you can find all the information about our new Family Memberships. Massive thanks for your continued support and a Happy New Year from the O-team!